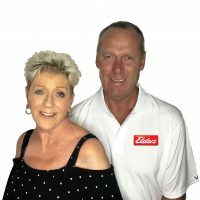 With a reputation for honesty, dedication and results, Licensed Real Estate Agents Mike and Ali Suidgeest have in excess of 35 years hands on experience and for over a decade successfully sold real estate in Hervey Bay. Now as residents here in Toogoom they have decided to bring their service and expertise to the local area joining the dynamic team at Elders Toogoom and Northern Beaches. Mike has trained with some of the greatest names in real estate and together with Ali they are a savvy and extremely successful real estate team. Professional, understanding agents who will be the secret to making your real estate experience both enjoyable and profitable. Would you like to speak to Mike&Ali? If you’re thinking about renting or selling your property and you’d like a clearer picture of how much your property might be worth or want to have an informal chat about general property market trading conditions, Mike&Ali will be happy to arrange a full market appraisal of your property.